I have yearned to go to Chicago for years. Too accustomed to 60 degree year-round temperatures in San Francisco, I lacked the courage to brave one of Chicago’s notoriously frigid winters or blistering summers. 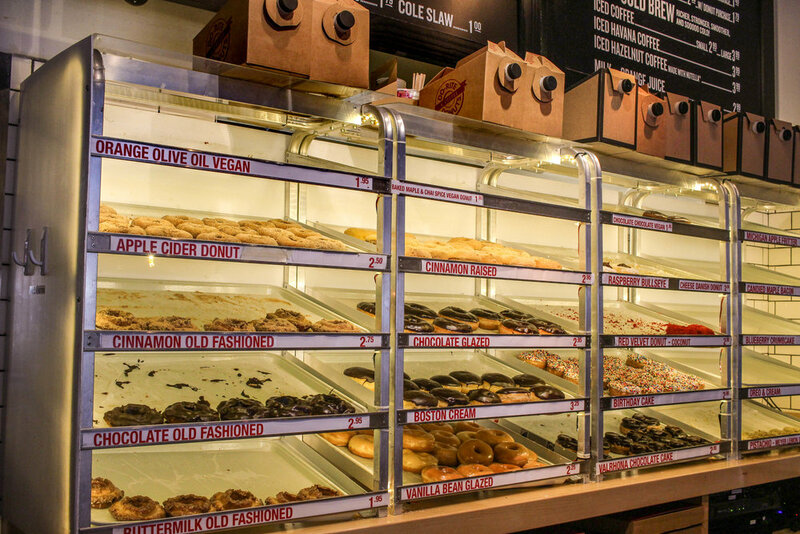 Yet in this place of extremes, Chicago has risen to the top as one of America’s greatest cities and must-visit foodie destinations. 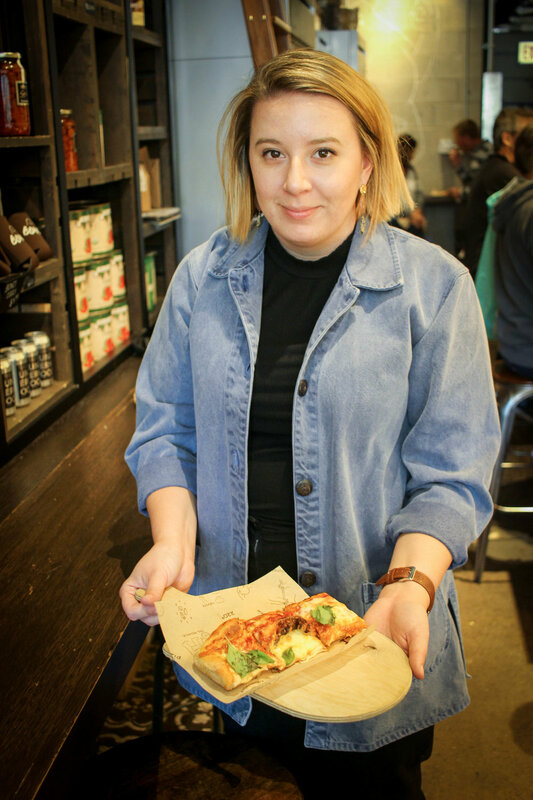 No stranger to food tours, but a complete stranger to Chicago, I partnered with Chicago Food Planet to learn about the go-to bites of the West Loop, Chicago’s trendiest foodie neighborhood lined with award winning restaurants. Just after noon, our guide greeted myself and 13 other patrons in front of an Italian sandwich shop. 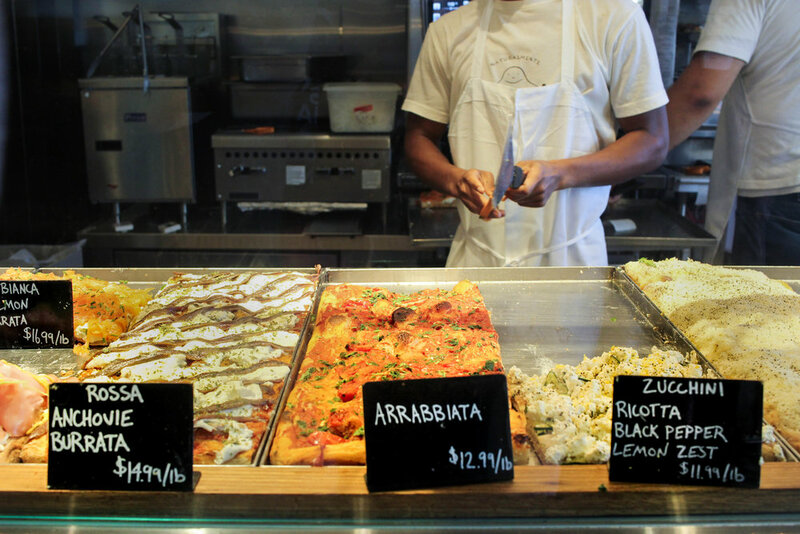 Italian food has deep roots in Chicago, so it was fitting to kick off our tour here. After WWII, more than 25,000 Italian immigrants came to Chicago and forever changed Chicago and America’s culinary landscape. Today over half a million Chicagoans identify as being of Italian descent. Without a shortage of great Italian restaurants to try, I am so glad Chicago Food Planet guided me to one of the neighborhood’s best spots. We entered the sandwich shop and snuck through the back door into the adjacent co-owned Italian restaurant. Black-and-white family photos covered the walls, and the cushy diner booths gave off some flare in this homey, yet refined Italian-diner. 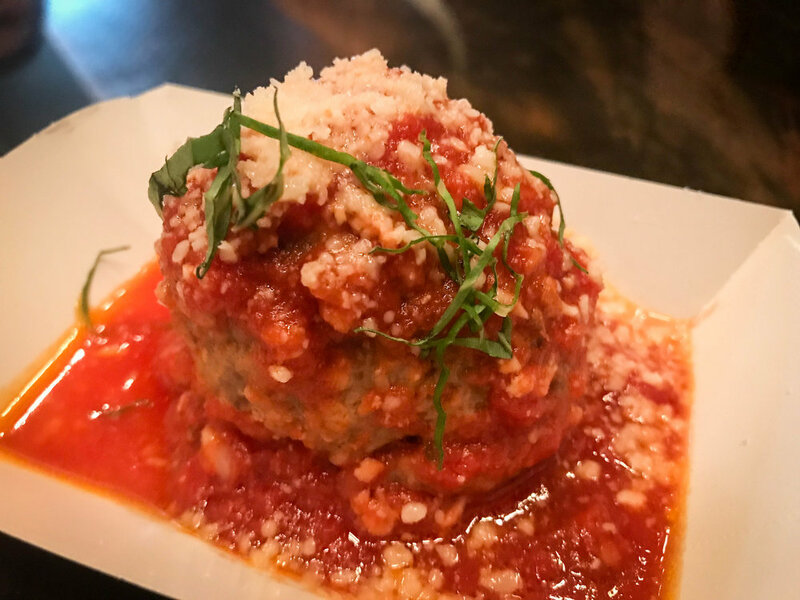 As a tribute to his grandmother (Nonna), the chef-owner keeps his nonna’s meatballs as a staple on a seasonally changing menu. The meatballs are hand formed and made of beef, pork, and generous amounts of parmesan. Stewed in a homemade marinara sauce, they come out so tender and perfect. Drink pairings are optional on the tour, but for the full experience I highly recommend tagging those on. For example, alongside the meatballs we had a glass of cabernet. The full-bodied wine with just a touch of acidity perfectly complemented our hearty meatball. I definitely could have stayed here and tried many of the other dishes on the tantalizing menu - but in the spirit of food tours, we left our empty plates and glasses to head to our second restaurant. Chicago’s West Loop is the shortened version of the original neighborhood name, “the neighborhood with a gateway from the west to the loop”. Holding important significance since the industrial revolution, many of Chicago’s warehouses and factories were built here and remain here even to this day. However, like nearly every neighborhood in any major American city, developers have arrived and the landscape is changing. Perhaps one of the biggest catalysts for that change came when Oprah Winfrey located Harpo Studios in the center of the West Loop. With that came a rippling of fine dining restaurants and other development projects. To this day, development is present and sculpting the neighborhood. As we sauntered through the neighborhood, our guide pointed out loads of restaurants - if only we had more stomach space and time to try them all! I made note of places I wanted to go back to as we walked our way to our second tasting. With roots in Chicago and Pueblo, Mexico, the chef of our second stop on the tour lures diners in with their cemitas. Cemitas are a poblano sandwich with a distinct sesame covered roll, which is baked in house. The bun makes it notably different from a torta, the more popularized Mexican sandwich in the states. We each got our own miniature cemita with pulled chicken, Oaxacan cheese, and a choice of 3 salsas. I tried them all and loved the range of sweetness to spiciness. 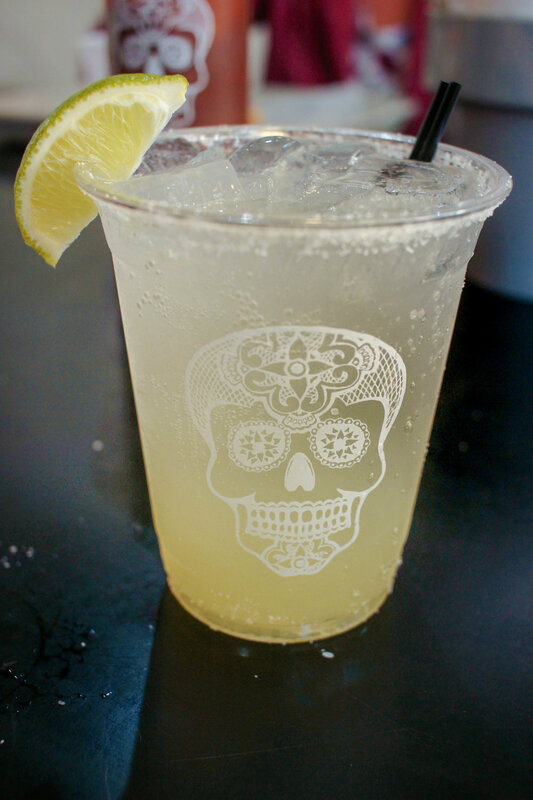 Alongside our cemita also arrive a margarita that our guide described as “one of those drinks where you won’t know that you’re getting drunk.” Tasty and balanced, it’s a good thing we only had time for one! As we walked to our third stop, we could hear from the outside of the bistro a clamor of excitement. The ethos of this heavy metal bar is to serve no-fuss American fare. The burgers here are named after the owner’s heavy metal idols, such as “The Mastodon” and “The Metallica” burger. 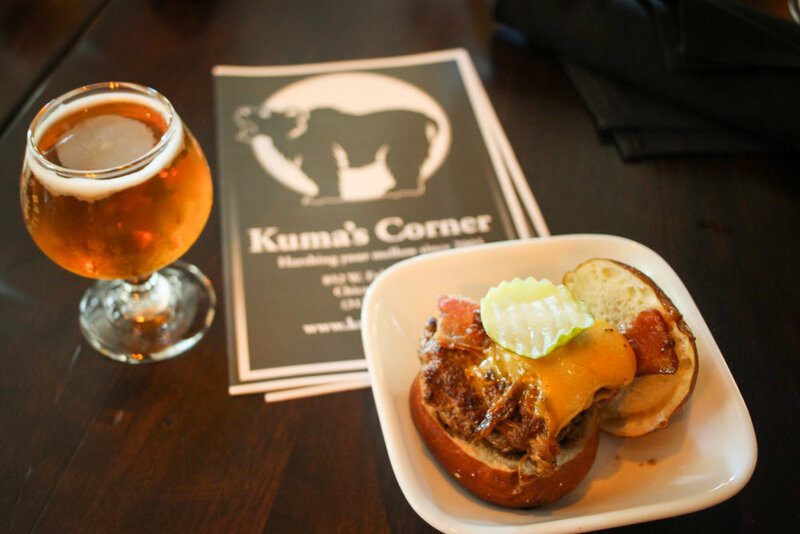 The owner’s love for metal music pairs with his love for meat, which makes this place a favorite neighborhood destination for metal music, burgers, and booze. What would a Chicago food tour be without a pizza stop? Even though Chicago deep dish pizza was at the top of my list of foods to eat, I did not eat deep dish on my trip to Chicago. I did, however, try the most delicious Roman-style pizza at the forth stop on the tour. This pizza is cooked on rectangular baking trays, and the slices are literally cut with scissors into quadrilateral shapes. 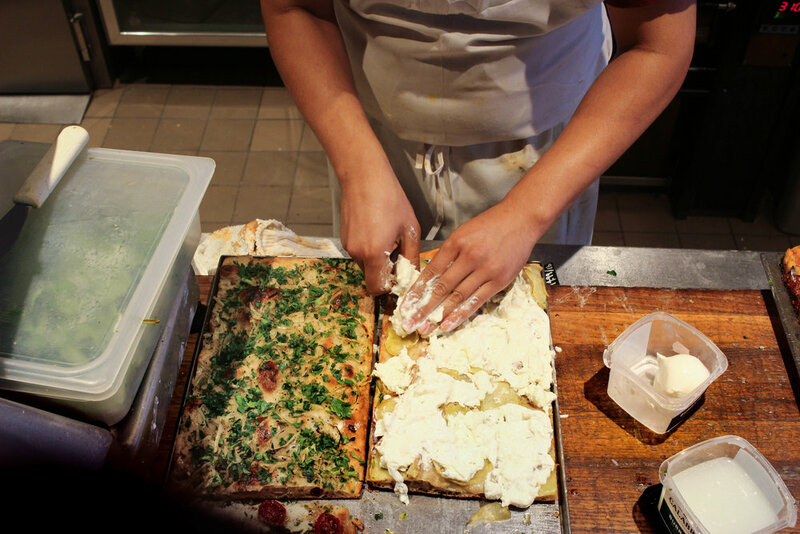 The chef-owner, a proclaimed “pizza genius”, has experimented with over 1500 topping variations. When you walk into the pizzeria and you see the variety, you will feel overwhelmed because you will want them all. But you are not alone. That is why slices here are sold by weight, and guests are recommended to try a varietal of flavors cut into cute, small squares. At the fifth and final stop, we finished the tour with an old-fashioned glazed donut. 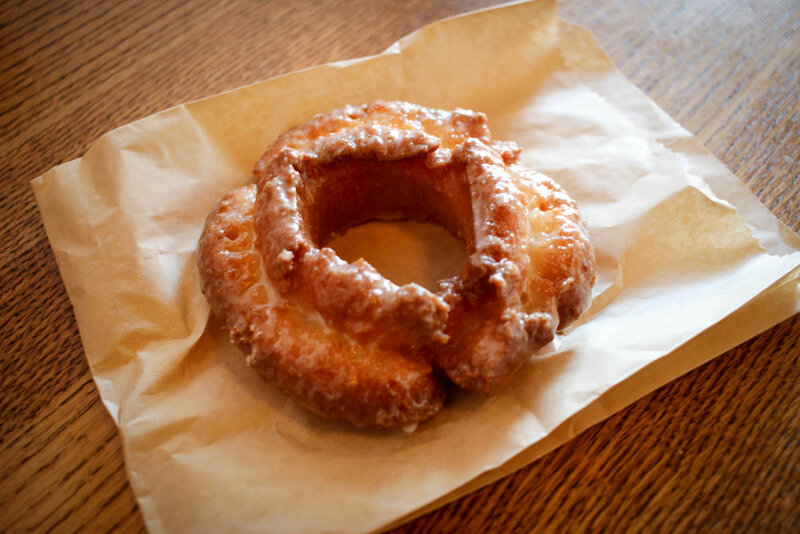 The buttermilk in the dough added both a sweetness and lemony tanginess to the donut. 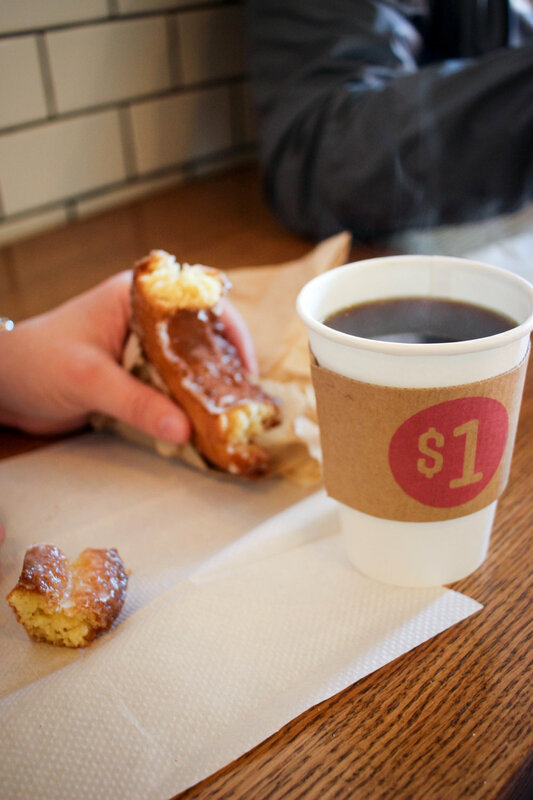 Though compact, the donut remained moist. Having sampled donuts from a few other places in Chicago, this one certainly “takes the cake”.